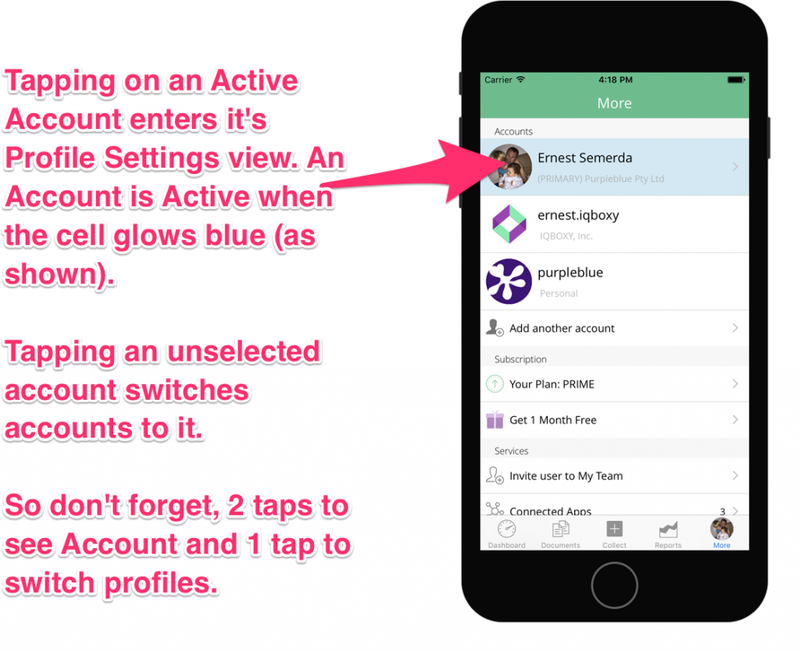 Your account profile settings view contains a wealth of settings related to your account. Everything from your being able to manage your company information to your default app experience preferences. To get to your account profile settings view, inside the Veryfi app footer press “More” (far right icon) and then whichever account you want to see preferences for, press it (screenshot below). Now that you are in, you should see a view similar to this one.